According to new research, women are more likely than men to want out of a marriage -- and they're also more willing to actually end it. The Austin Institute, which is dedicated to academic research on family, sexuality, social structures and human relationships, surveyed over 15,000 adults -- nearly 4,000 of which were divorcees -- for their "Relationships in America" study. The results give insight into why couples call it quits. 1. 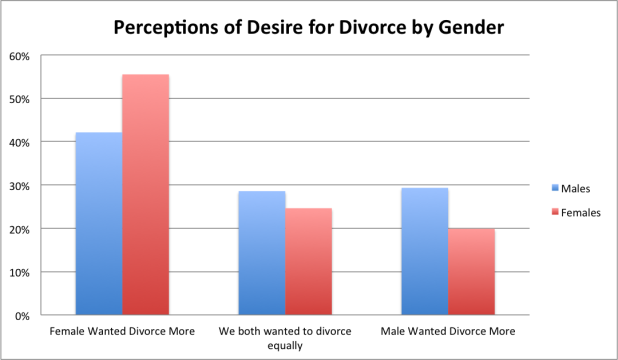 Women, more so than men, are more likely to be unhappy in a marriage. 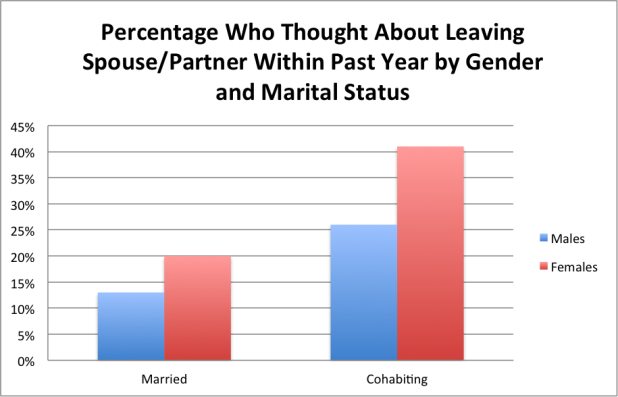 When participants were asked if they had thought about leaving their partner in the last year, 20 percent of married women said yes compared to only 13 percent of married men. 2. 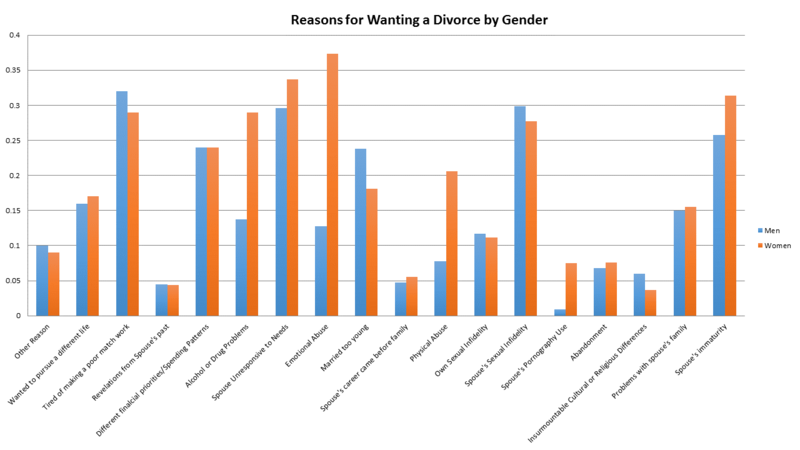 Women are more likely to want a divorce and are historically more likely to file. According to research cited by the Austin Institute, more women have filed for divorce over a 125-year period than men. So it's not surprising that when asked who wanted out of the marriage more, both partners were more likely to say it was the wife. 3. Infidelity was the most cited reason for divorce.